Whe n I announced my resignation at Bethel College Mennonite Church, a church member promptly gave me this yellow duck, symbolizing my three month lame duck status. He then offered some colorful commentary on what distinguishes a lame pastor from a not-so-lame pastor. We agreed that keeping a sense of humor and playfulness is key, balancing that of course with depth and maturity. 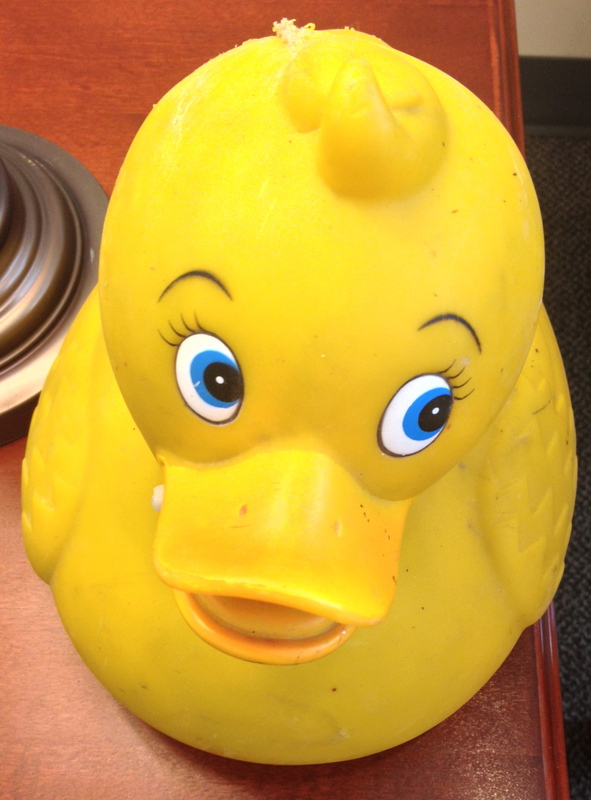 I’ll keep this duck, named “Lamo” in my office for a season, to remind me and us to nurture humor and playfulness.